It’s definitely food! I’ve decided (yeah I know it’s February) that this year I’m going to get better at cooking. So I got some fresh tilapia from the store and seasoned it with paprika, cayenne, onion powder, salt, and black pepper, and pan fried it in butter. 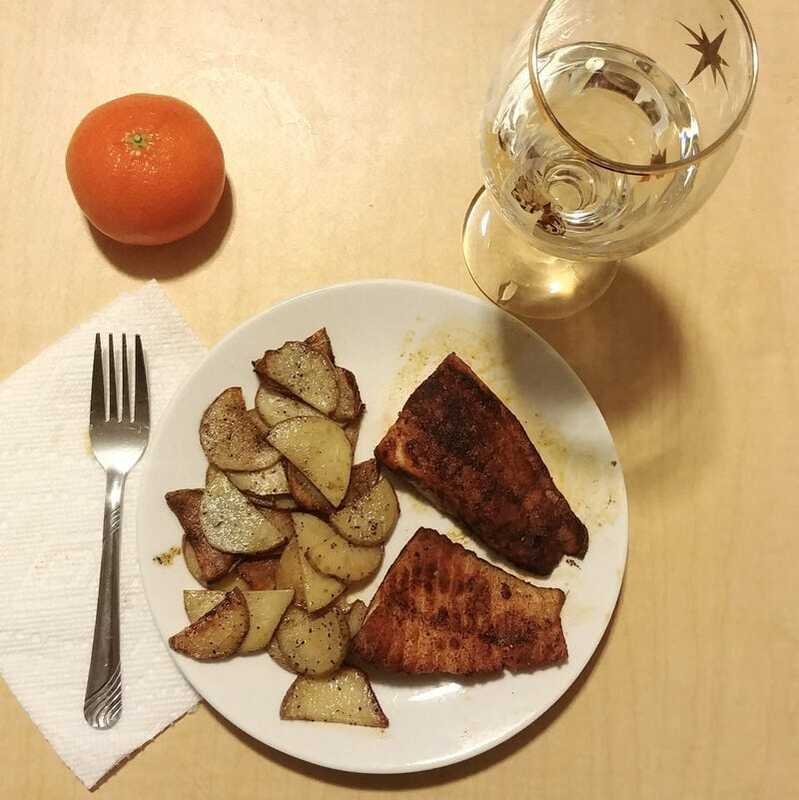 I sliced some potatoes down to about 1/16" and fried those with salt and pepper, plus the juices from the fish. It was decent!